Thuraya Telecommunications Company has been busy this past year with launches, partnership expansions and news of its satellite continuity capabilities. The company will focus on these accomplishments as well as their product portfolio at booth 209 at Satellite 2018. Thuraya will also be co-hosting an important event. The T2M-DUAL terminal (Thuraya Tracking and Monitoring) tracks and monitors assets, especially mobile assets located across changing points. This terminal makes the process simpler, flexible, more affordable and less labor-intensive. Thuraya Telecommunications Company will be attending Satellite 2018 for the eighth consecutive year. This mobile satellite services (MSS) operator will be showcasing its product portfolio at booth 209 as an exhibitor and will also contribute to a number of panel discussions taking place. Looking back this past year, besides their international launches, partnership expansions and news of its satellite continuity capabilities, Thuraya has recently diversified their portfolio through services such as Thuraya Aero, its first in-flight satellite communications platform for the aerospace sector, and T2M-DUAL, a dual-mode terminal for machine-to-machine (M2M) communications and remote asset tracking. Thuraya has received more attention with the company's increase in global interest in the UAE space sector as a whole, with projects in the country such as the Emirates Mars Mission and commercial space travel initiatives. While Thuraya is in the U.S., they will co-host, for the seventh year, a consular reception with other Emirati space-based organizations, such as UAE Space Agency, Yahsat and Mohammed bin Rashid Space Center. The ceremony, which will celebrate the year of Zayed*, will be held at the UAE Embassy located in D.C. and will extend invitations to government officials as well as Emirati students based in the region. 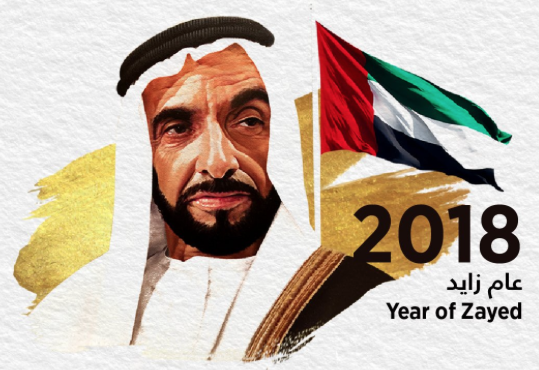 *2018 has been named the Year of Zayed declared by the President, Sheikh Khalifa to commemorate 100 years since the birth of the country’s Founding Father, Sheikh Zayed bin Sultan Al Nahyan. “The Year of Zayed is a great national occasion when we will proudly share memories of the life of the Founding Father, Sheikh Zayed bin Sultan Al Nahyan, and his gift to us of deeply rooted values, principles and traditions that have become part of our Emirati identity,” he said. The announcement takes place on the anniversary of Sheikh Zayed's Accession Day, the day he assumed leadership in Abu Dhabi on August 6, 1966, marking the start of a new epoch in the history of the UAE. The Year of Zayed will highlight his role in establishing the Federation, and his local, regional and international achievements.